Dr. Jack Stockwell - Wait!!! Now Dairy Products Are OK? 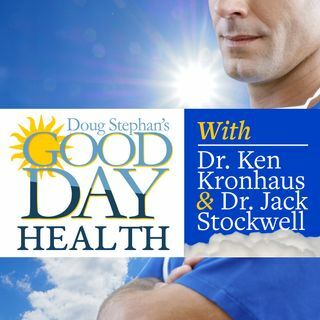 Host Doug Stephan asks Dr. Jack Stockwell http://www.forbiddendoctor.com how do you can know when you have a Thyroid problem. Next, Dr. Jack offers a very graphic representation of how much sugar is contained in Sports Drinks, Soft Drinks, Vitamin Waters, Hot Beverages and other things that might surprise you. You'll be shocked to learn how often different body parts replenish themselves. Learn what a D.O. is. Doug and Dr. Jack go into detail about how to live longer. And finally, a new ... See More study shows that there is no link between Dairy Products and Heart Disease and Stroke. Sorry, Ice Cream doesn't make the cut.